Advantage gambling is the act of seeking some kind of advantage over a bookmaker or a gaming site. It is also known as advantage play (AP). In this post I'll be looking at how AP ties in with expected value theory and the law of large numbers to help us profit. Advantage gambling actually has its roots in the bricks and mortar casino business. Hollywood has glamourised techniques like "card counting" and "shuffle tracking" in movies for years. But these days advantage gambling has evolved from casino table games. The age of the internet has gifted us with many more advantage bet opportunities. These techniques are not illegal... But gaming establishments do frown upon them. Casinos and bookmakers rely on the house edge (or vig) built into their games and odds to turn a profit. They don't like it when players are able to flip this advantage on its head and have the last laugh at their expense. From time to time you may see house edge referred to as vigorish (or vig). They both share the same meaning. The simplest way of looking at vigorish is identifying it as the price of placing a bet. Few people actually understand how bookmakers make money. Bookmakers aren't offering bets for free. Every bet placed by a punter includes a house edge (or vigorish) that favours the bookmaker. Combined bet selections for an event are always rounded in their favour. To understand this we can take the simple example of a tennis match with two possible outcomes. Then we can convert each figure to a percentage by dividing the decimal odds by 100. The bookmaker overround is 5.67%. A bookmaker will profit to the tune of their overround if their book is balanced. This means that they have enough punters betting on each outcome to level all payouts. This is one reason you often see event odds at a single bookmaker jump around so much. You also hear from time to time of bookmakers "hedging" their bets with others in secret. Here traders are trying to smooth their books out and avoid excessive liability. But where bookies do get it wrong by failing to balance their books... Putting things right again is just a waiting game. The law of large numbers ensures that if you hold a mathematical advantage, in the long run you will come out on top. There are so many casino games out there that it would be impossible to explore the vigorish of each of them now. Instead we will look at three of their most popular games. 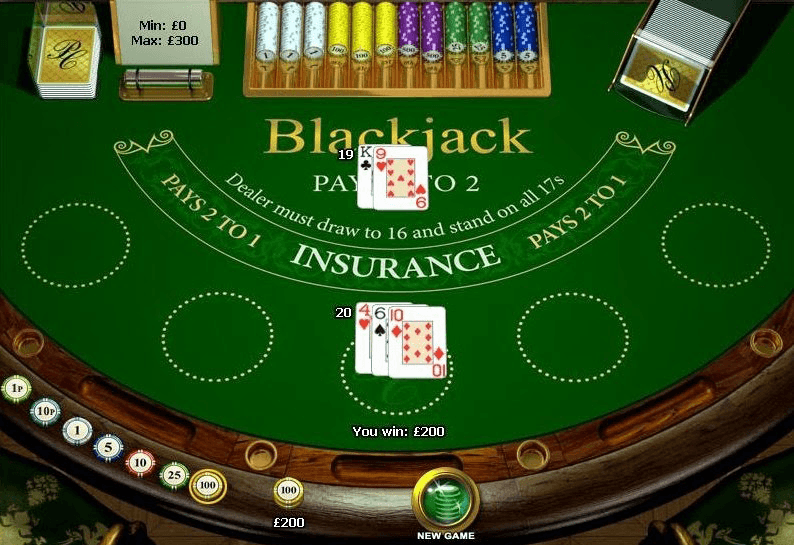 With respect of casino table card games, BlackJack is one of the lowest house edge games you can play. Though much does depend on the skill of the player. Playing mathematically perfect BlackJack can keep the house edge to a super modest 0.5%. But the reality is that most players at a BlackJack table aren't playing a perfect game. The house thus sees a greater return. This skill / vigorish relationship is a common find within many games. Generally - games that need little or no skill inherit a more weighted edge in favour of the house. 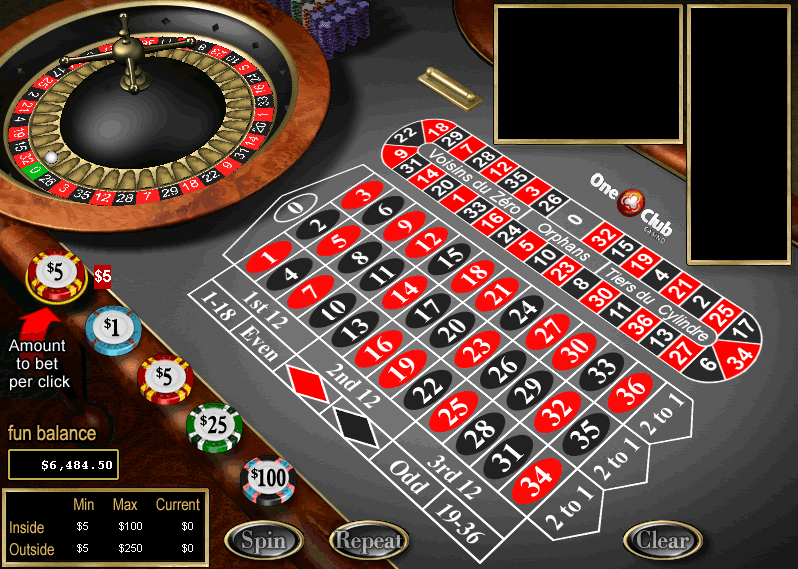 A European Roulette table has 1 zero, 18 black numbers and a 18 red number. There are 37 numbers in total where the ball could land. If you place a bet of a single unit on a single colour (e.g red) then your chances of winning are 18/37. Your chances of losing by landing on the opposing colour (black) or green are 19/37. The house edge for players betting on red or black is 2.7%. House advantage can vary a huge amount between casino slot machines. For each machine - physical or online - you will find an associated RTP percentage. RTP stands for Return to Player and can be anything from 70% to 99%! A more domestic and familiar example of a casino slot would be a fruit machine you'll often find in UK pubs. On a fruit machine with a 82% RTP you'd expect the machine to pay out £820 from every £1000 it takes. In this case the house edge would be 18% which goes to show why such machines are a cash-cow for the pubs they live in. Casinos always have a mathematical advantage on each game they offer. Making money is just a numbers game. This is where the phrase "the house always wins" comes from. Players will come and go. Some will win. Some will lose. But with the volume of bets taken by the casino their profits will level out in time in line with each games house edge. Or even higher... Again, given that most players do not make perfect decisions. When we face an inherent disadvantage whilst placing bets is it possible to win in the long term? The answer is yes - but not through one-sided betting in the traditional sense. We have to either hedge bets against one another or utilise promotional bonuses. Arbitrage betting is the method of hedging bets on the same event against each other. The bets are placed across multiple bookmakers, or between a bookmaker and betting exchange. 'Arbing', as this method is most commonly referred, is not about winning big. Players tend to bet in large amounts to lock in small profits between the taken odds. The outcome of the event they are betting on is immaterial. All eventualities are accounted for through the bets placed. I have talked a lot about arbitrage betting before this post. In theory - it's great. But the problem lies in the fact that 'arbers' stand out like a sore thumb at the bookmakers. They only take the best odds, they always bet big, and they jump on obscure markets that nobody else cares for. In today's age, these kind of betting patterns are easy to detect. Once spotted, these players tend to be quickly deemed undesirable. The fall out from this is likely to be a restricted or disabled betting account. In the advantage gambling world this unfortunate scenario is referred to as a "gubbing". I have no idea how this term came to be! Matched betting is like arbitrage betting but with a key difference. This method follows the same principle of covering all outcomes to lock in a definite profit. But for the most part the player also takes advantage of a promotional bonus at the same time. Bookmakers and casino sites tend to reward new registrations with a bonus as a thank you for signing up. From time to time they also reward existing customers with similar offerings. These bonuses are then used in such a way that the player places bets without risking their own funds. I have written a lot on the topic of matched betting. If you'd like to go even further then you should also check out my free eBook guide here. Matched bettors can also be undesirable and endure the same gubbings as arbers. But the savvy matched bettor can be less aggressive with their betting patterns. You do not always need to take the absolute best odds if you know you will get a free bet once an event settles. Furthermore, gaming sites cannot isolate and restrict all the players who take their bonuses. There are far too many of them. From time to time its possible to find some great value no risk casino promotional offers. Wager £10 or more on Slots TODAY and we'll refund losses up to a maximum of £10. If there are no stipulations attached to the refund then this can be a completely risk fee offer. 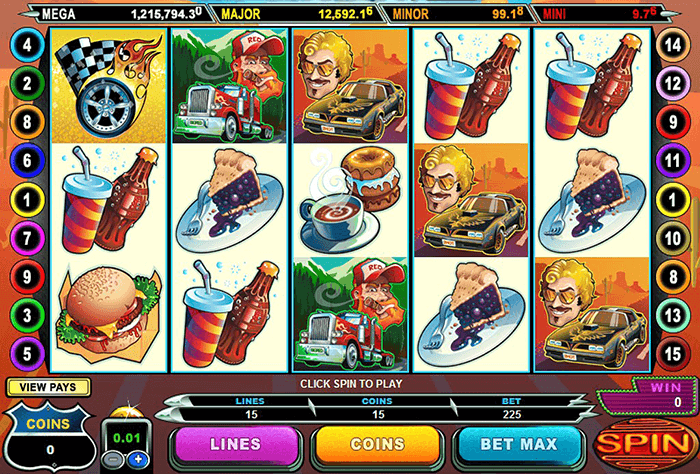 On a volatile slot machine, even from just £10 worth of wagering you have the possibility of winning a lot more. But at the same time, if you didn't win with a risk-free offer like this one, you'd get your money back. You don't see these type of promotions that often but they do exist. Sometimes casino promotions departments are particularly incentivised to find new customers. This is how they can achieve that. Additionally - in the past I've also seen "no-deposit" casino offers. The way these usually work is by giving you a set amount of free chips and/or a time limit to play with. I, myself, have walked away with sizeable no-deposit winnings at one time in the past. We all love risk-free betting. But there is only so far it can take you. We are limited by the fact we cannot sign-up to a bookmaker over and over again. Thus - we cannot get new customer bonuses again. We of course have reload bonuses... But they cannot sustain us with with the same financial reward that the sign-ups once did. They tend to be for smaller sums and less frequent. The answer lies with positive expected value low-risk offers. Now - before I go any further I want to disarm any doubters. Since I first built this site I've answered thousands of emails. One of the common concerns people write me with is a fear of the money train coming off the tracks. I responded to the idea of long term matched betting a while back in this post here. I stand by what I wrote. Remember that saying? A bird in the hand is worth two in the bush. If worrying where the road ends stops you from starting AP then your logic is wrong. You're turning your nose up at £thousands through fear of the unknown. You should easily make that from risk-free strategies alone. But what I'm about to share with you will keep you going for a long time. It's the difference between making thousands and tens of thousands from advantage gambling. Expected Value (EV) is a calculated average representing how much a promotion is worth to us. It's worth repeating that it is an average and not an absolute expectation. Positive expected value does not mean an offer is risk-free. You are not guaranteed to make money. In fact - actual results will swing from player to player. And this is what generally scares people about taking +EV offers. It can be a turbulent ride with strings of losses as well as wins. This at times can be disheartening. But to appreciate the longer game we must understand what EV actually represents. In the case of advantage gambling: the more bets you place the more your results fall in line with the EV. There is nothing revolutionary about this. It's a proven strategy. In fact we have discussed it before... The purpose of me beginning this article with an explanation of vigorish was to serve this point. Vigorish, house edge and EV are actually interchangeable terms. Yet when we talk about vigorish or house edge for the most part refer to a bookmaker or casino advantage. And when we talk about (+)EV offers we are generally referring to player advantage. A casino with a 5% house edge on a game would expect to profit in line with that percentage over a large sample of bets. A player who have calculated a 5% +EV would expect to profit with that percentage over a large sample of bets too. Bookmakers and casinos appreciate the long game. They know their mathematical advantage will yield long-term profits. This is based on the law of large numbers. According to the law, the average of the results obtained from a large number of trials should be close to the expected value, and will tend to become closer as more trials are performed. Advantage gamblers who take +EV offers share the same mentality. On that - mentality is an important word as +EV offers can only deliver through consistently taking them. To ensure an expected value return the player must ride out any bad weather period. They must persist in taking as many offers as they can. To persist with utilising +EV offers during losing streaks can feel counter-intuitive. It's not human nature to want to carry on - but to profit in the long term it's a necessity. With an +EV offer you have a mathematical advantage. Just like the bookies do with their vigorish. How to Calculate Expected Value? Now if you hate maths then stick with me here... This isn't tough. Earlier in this article we looked at the house edge for some popular casino games. Remember the house edge for a bet on a single colour of a roulette wheel was 2.7% ? To bet on red at a roulette wheel means we win the bet if the ball lands on a red number. If the ball lands on a black number or green zero then we lose the bet. There are 18 red numbers, 18 black numbers and 1 green zero. Betting on red we have 18/37 chances to win. We have 19/37 chances to lose. The expected value of a bet on red or black on a European Roulette wheel is -2.7%. Let's now consider what would happen if we span the roulette wheel one hundred times. On each spin we place £1 on red. But what if the casino told us that for every £100 we stake they would give us TEN £1 free chips? They also stipulate we have to use these chips once to claim any winnings from them. That's +EV and a pretty good deal! You cannot beat the house in the long term if they hold a mathematical advantage. But the previous calculation shows that by using a bonus we can hold the advantage ourselves. If you're in any matched betting / AP communities you will hear +EV used often. They exist in two common formats which we will look at examples now. Casino offers often provide the most lucrative +EV opportunities. Particularly playing online slots or bingo. The reason for this is these games offer the possibility of winning big. When you hear someone has won big in an advantage gambling forum it is usually through an +EV slots offer. There is nothing you can do to influence a jackpot win. These events happen at random. But if you partake in enough of these kind of offers your chances of hitting a big win will increase. If only for sake that more spins = more chances. Players must wager the bonus through 10x to withdraw. i.e. £5 x 10 = £50 of post-bonus wagering. We know that the RTP is 95.5% so the house edge is -4.5%. After staking £10 we will receive £5 free. We now need to work through £50 of post-bonus wagering. This offer has a positive expected value (+EV) of £2.30. Players must wager the bonus through 5x deposit + bonus to withdraw. If we play perfect blackjack then the house edge is -0.5%. Expected value dictates a £5 loss from £100 worth of BJ hands. We receive the bonus, but we must play through another £1000 worth of hands to withdraw. Expected value predicts a £50 loss from £1000 worth of hands. This offer has a positive expected value (+EV) of £45. It's true that many of the the best +EV opportunities come from casino offers. But you shouldn't discount bookmaker conditional offers. Many players overlook bookmaker conditional offers because they seem complicated. But they're actually simple. We will refund all losing First Goalscorer, Anytime Goalscorer, Correct Score, half time / full time bets, up to a maximum of €/£/$50. We will credit refunds as a stake not returned free bet. You must play this through at least once to withdraw. Although this might seem like a shot in the dark, with the right odds its +EV. The trick with these kind of offers is to qualify for them with the smallest possible loss. To do this you match close back and lay odds. We can then use Betfair to calculate the actual probability of the refund occurring. From there we can calculate expected value. Betting exchanges like Betfair make money from winning bet commissions. They are different to traditional bookmakers. They do not rely on a house edge / vigorish. Betfair is a fair book with no hidden margins. As such, we identify its odds as reflecting true probability. Additionally, the odds on Betfair are crowd-sourced. Thousands of individuals, traders and bookmakers use the platform to bet against one another. When generating odds this way there is no room for bias. This is different to a traditional bookmaker who might rely on a team of odd-setters. When a new market opens on Betfair it's common to see a lot of "loose" or "gappy" odds. But as the volume of bets on the event increases the lines all tighten up and book settles. The closer to the event off the more reliable the odds become. In the last hour before an event begins the Betfair odds are at their most accurate. To have a shot at a refund we must first place a bet in a market that will trigger the refund. First Goalscorer, Anytime Goalscorer, Correct Score, Half Time / Full Time. So out first job is to find a pair of matching bets for the smallest possible loss. Let's suppose we find HT/FT Odds on Dortmund/Dortmund at 2.6/2.6. We can qualify for the chance at the £50 refund by backing and laying to lock in a small £1.57 loss. But exactly what are our chances of getting that refund? To figure this out we look need to look at the Betfair lay odds of the conditional event. This tells us the odds that people are willing to back this event at this moment now. And, as we discussed earlier, also represent the fairest representation of probability. Let's now suppose that the Betfair lay odds for Sturridge scoring anytime are 5.0. This means that there is a 1 in 5 chance of Sturridge scoring. You can also work out a probability perentage by dividing through 100. There is 20% chance (1 in 5) that Sturridge will score in this match as dictated by market odds. If he does indeed score we will get a refund if our bet loses. 1) It costs us £1.57 to qualify for the refund offer. 2) There is a 1 in 5 chance of getting the refund. So for every £7.85 of qualifying losses we're expected to hit a £50 refund. Since the £50 refund is a stake not returned free bet we cannot withdraw it straight out. We have to assume we will keep 80% of it which is £40 (50*0.8). The Refund Expected Value is £32.15 for every 5 bets placed. The Expected Value Per Bet is £6.43. Are +EV Offers Worth Your Time? Positive expected value offers are somewhat of an advanced advantage gambling tactic. If you are new to matched betting and AP then you're better starting out with the risk free offers. If you're experienced with advantage gambling then +EV offers are gold. Remember - this isn't about making £2.30 or £6.43. These are just average returns for their respective offers. All you need to take from these figures are that if it an opportunity is +EV then it's worth considering. As you get more familiar you might weigh up the +EV against the perceived time it will take to complete. For instance, to wager thousands of hands of blackjack for a £1 EV offer might not be the best use of your time. But, this will come with experience. Expected value is only effective over a considerable sample size. This should be one of the major takeaways from this article. In probability theory, the law of large numbers dictates this. Don't try to fight it. It's mathematics. It exemplifies why you should be hitting at as many different +EV offers as you can find. It's also one of the biggest selling points I feel for advantage gambling member sites and forums. Such sites identify all the best opportunities for you. This allows you to take more action and spend less time pushing buttons on a calculator. One thing is for sure - by continuing to take on +EV offers then over time you will definitely yield a profit. In the case of casino offers you'll also have a shot at some super big prize pools. Trust in the numbers and the road ahead shall be fruitful! Matched Betting Long Term Sustainability! ?